The braces were cumbersome and, for an eight-year-old boy, embarrassing. But the rheumatoid arthritis attacking Caleb’s body was weakening his ankles, causing them to roll inward. Without these, doctors said, his knees would buckle. So every day, Caleb stepped into the hard-as-a-toilet-seat braces, which started beneath his feet, stretched behind his calves and wrapped around his legs just below the knee. People stared. And pointed. And wondered. Caleb lives with more diagnoses, too — a heart murmur, asthma, and Crohn’s, a chronic inflammatory bowel disease that long forced him to wear adult diapers. Still, it wasn’t the hospital visits, transfusions, pills, or even diapers that bothered him most. It was the contraptions attached to his limbs that prevented him from running fast, jumping high, and feeling normal. In the summer of 2012, the little boy who had learned not to trust the world arrived at Flying Horse Farms in pants — and found his people. As the week progressed, he noticed children with braces. Colostomy bags. Feeding tubes. If they can be strong enough to do what they’re doing, he thought, I can be strong enough to wear shorts. He pulled on beige cargo shorts and played by his cabin. “It was freeing,” he said. When Caleb left, he cried. Caleb spent much of the next year talking about camp. But in Mt. Gilead, the camp team couldn’t rest on its laurels. It questioned how it could take a kid like Caleb and go deeper. It did the same the next year, too, and the year after that. This year, Flying Horse Farms turned eight and has welcomed more than 5,000 campers. But camp is not just celebrating breadth, it’s celebrating depth. Yes, camp has served more campers each year. 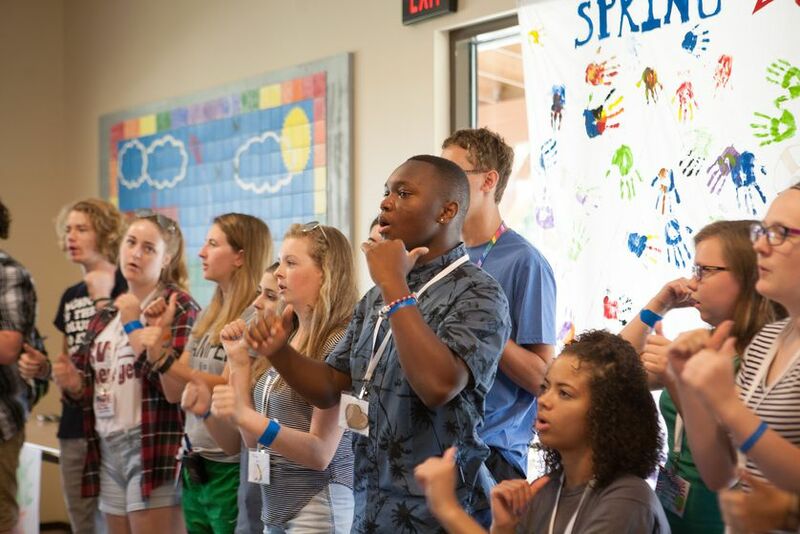 The true success, though, is that thanks to lessons learned and wisdom earned, camp is serving more medically acute and emotionally complex campers than ever before — and in the most meaningful possible way. The summer that camp opened, one young boy learned to swallow his pills whole for the first time in his life. It was life-changing for the child and, notably, his mother, who until then spent hours tediously grinding every pill into powder. But back then, camp couldn’t even accept children who used wheelchairs, let alone adapt activities to their needs. 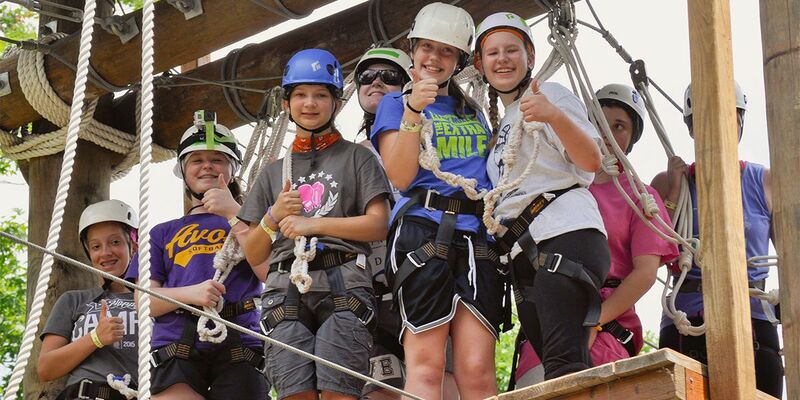 This past summer, the team helped a camper who uses a wheelchair conquer the entire ropes course. The programming, staff say, has become more nuanced. Camp clearly has evolved in myriad ways. Systems have been perfected — from the camper admissions to staff training to coordinated communication between the medical, program, kitchen, facilities, and even marketing teams. Volunteers are now seasoned: from retired men who paint buildings and fix shelving to nurses who return year after year. Partnerships have blossomed: from corporate donors to hospitals and universities who send doctors, nurses, and dietary experts. While camp as a whole was always outcome-based, now, every single activity is outcome-based. While camp was always adequately staffed, now, every cabin has its own nurse, and every nurse has an iPad with easy access to medical histories. While camp has always had friends, now, it has a community of supporters that span the state and beyond. As a result, camp has been able to accept more challenging campers, whether that be a boy who needs to be turned in bed every few hours all night or a girl with a history of self-harm. As time passes, camp also is learning to navigate a cruel reality: loss. When Flying Horse Farms opened the gates for its inaugural summer session, it welcomed among that crew a cabin of girls with various heart conditions who quickly became known as Sparkle Five. They wore matching scars, toothy grins, and plenty of glitter. Their memories through the years are colorful. Remember when we painted Grandpa’s head with palm trees? And when we put makeup on Dr. Boyle? What about the year we made the green slime wrong and got it stuck in our hair?! How about when the boys tee-peed us, and we got them back by blasting Barbie music outside their cabin early the next morning? There have been fashion shows. Outpost sleepovers. Crushes. And now, as teens, text messages that keep them connected year-round. Sarah Bush, who had undergone two open-heart surgeries by age five, was among them. 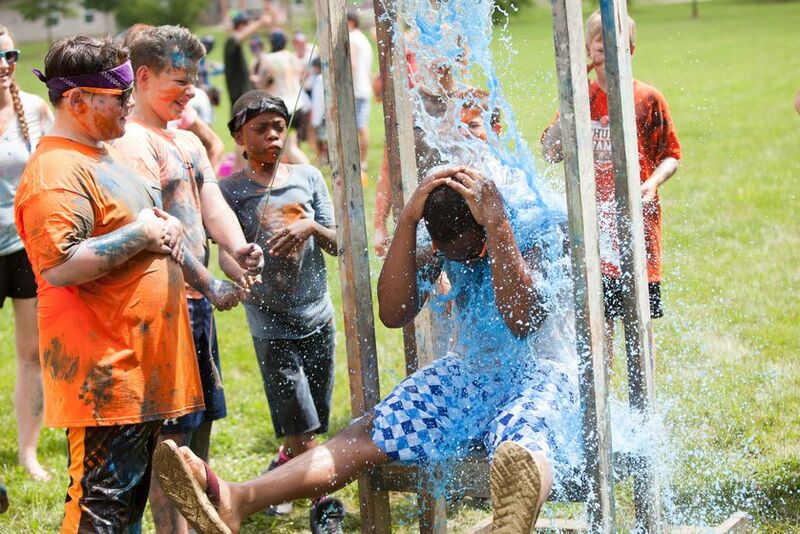 When the kind, outgoing Northeast Ohio girl arrived for that very first camp, she spent her first hour convincing a nervous kid that this was going to be amazing — despite the fact that she, like everyone, was new. Her mom was wowed. “For her whole self-image, it was great,” Wendy said. And as the years passed, Wendy knew Sarah’s bond with Sparkle Five was strong for reasons she would never fully understand. When camp applications opened in January 2017, Wendy filled out Sarah’s, plus one for Sarah’s brother, Matthew, who was finally old enough for Siblings Camp. Sarah wasn’t exactly thrilled. Camp was her thing. She wasn’t sure she wanted to share it. Matt was excited to experience the place his sister loved. That March, Sarah became achy and exhausted. Her temperature spiked. She was diagnosed with a rare, aggressive form of leukemia. She began chemo immediately. Soon, she was admitted to the hospital for 24-hour care. As her condition worsened, visitors were banned. But a couple of camp friends at the Cleveland Clinic, where Sarah was treated, made it a point to say hello. Longtime Flying Horse Farms volunteer Dr. Jerry Boyle, who wasn’t caring for Sarah but knew her from camp, popped in. “I see — you just want to go to two camps now,” he joked about her multiple diagnoses. Another Clinic employee who volunteers at camp visited Sarah regularly to create art. Sarah, who wore her camp T-shirts most days in the hospital, one day looked at her mother. “Are they still going to let me go to camp this year?” she asked. “They are keeping your spot open,” Wendy promised. Sara texted her Sparkle Five friends. I’m fine, she assured them. Don’t worry about me. Sarah died on April 27 at age 14. The more than 800 guests at her funeral included the girls of Sparkle Five, who gathered from around the state to celebrate their friend. And when they regrouped for Heart Camp that June, it was with orange T-shirts spelling Sarah’s name and extraordinary emotion. Sarah’s eight-year-old brother, Matt, attended his first Siblings Camp that August with a heart heavier than most. He most enjoyed archery, just like his big sis, and finished the week with a stash of playing cards earned by hitting them with arrows. When Wendy arrived to pick him up, he was strumming a counselor’s guitar, and his first words alluded to a newfound passion. “I want a guitar for Christmas,” he said. Caleb stood in front of the whole of camp last July in a dance-off with a young camper and hit the beat with his flashiest move. The little guy twisted into a dazzling spin. He bowed and backed off the stage, prodding the crowd to cheer for its champion. In many ways, camp and Caleb have grown up together. He evolved from a little boy to a wrestler at Akron’s Firestone High School who overcame a winless freshman season to become city champ as a junior. His resume included a slew of other leadership positions, too: senior class treasurer, president of the men’s chorus, and former drum major in the school band. Camp, he said, gave him the confidence to become who he is. The Ranger program — a servant leadership program for teens who have aged out of camp — was an entirely different experience, he said. One female Ranger said she wouldn’t attempt the low-ropes wall unless Caleb pulled her, which wowed him. And after Ranger camp, the parent of a younger camper contacted Caleb’s mom and said her son wanted to talk with Caleb. “It was awesome,” Charice Fort said. Of course, Caleb is buoyed by the love of his mother. Charice prays with him daily. She has carefully surrounded him with positive male role models since birth. She is his chef, his homework helper, his toughest critic, and his biggest fan. Camp, she said, has impacted them both. It didn’t just help Caleb realize possibilities; it helped her realize his possibilities, too. Like the parents of many children with illnesses, she said, she parented with blinders. She wanted to make the world as safe as possible for her son. Camp allowed her to let go a bit — to see beyond the tunnel on which she was focused. Caleb, she believes, will continue opening those gifts. His mission now? To share them with others. This story originally appeared in the 2017 issue of The Journey, Flying Horse Farms' annual magazine. 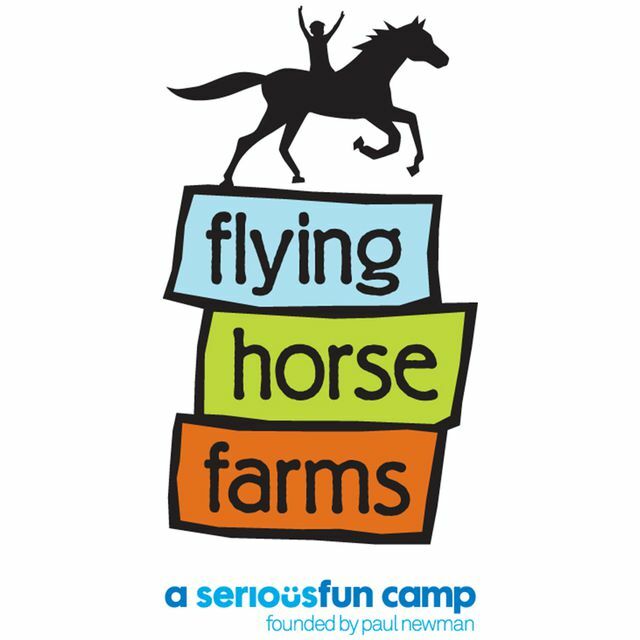 The mission of Flying Horse Farms is to enrich the lives of children with serious illnesses and their families by providing magical, transforming fun through year-round, medically safe, and cost-free camping experiences.